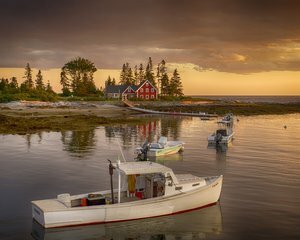 Just a short drive outside of Kennebunk are a host of fishing towns, each with a warm personality and charming activities in their own right. 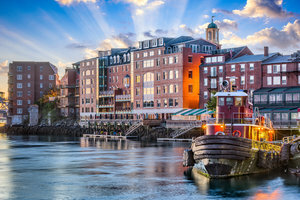 Spend an afternoon in a town less tread, for a true Maine experience, while staying at our beautiful New England hotel with exclusive hotel deals. It’s time to discover where the sea meets the soul, and explore the area around the Kennebunks. 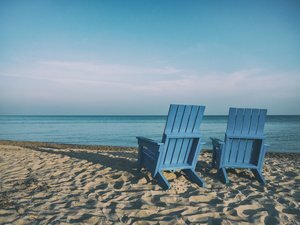 Are you ready to make lifelong memories? Drive south away from the Kennebunks towards the historic town of Portsmouth. This seaport town still contains carefully preserved buildings after centuries, tranquil gardens, and world-class restaurants. Discover the charm and unique flavor of Portsmouth, a town that feels like coming home. Strawbery Banke Museum: Allow yourself to fall back in time, within this historic neighborhood with costumed role-players and 32 historic buildings from the 1700s. This outdoor history museum blossoms with real stories of people who lived in Portsmouth centuries ago. 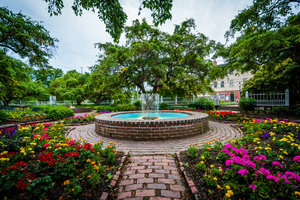 Prescott Park: Spend an afternoon in this waterfront park with gorgeous fountains, lush gardens, and a coastline sprinkled with islands. Take a stroll through Prescott Park or take a seat for the Arts Festival with live music, outdoor movies, and summer plays. Gundalow Company: See Portsmouth from the water on a traditional barge boat. Take a daytime or evening sail along the Piscataqua River. Visit Ogunquit Village for gorgeous beaches, seaside ice cream shops, and cute boutiques to browse. Ogunquit Beach: Considered to be one of the prettiest sections of the Maine coastline, featuring 3.5 miles of soft, white sand. Footbridge Beach: A less crowded beach one mile north of downtown Ogunquit Village, and aptly named as you must cross over the Footbridge to access it. If you need more than what the hotel provides, OGT Beach 'n’ Sport has toys such as boogie boards that you can rent for the day. Looking for even more beaches? Choose a beach less populated by tourists, but still equally close to local restaurants and clean washrooms. Wells Beach: A long, wide beach that is great for walking and playing in the surf. Take your kids to the nearby playground! Crescent Beach: This rocky beach is less known and less crowded, making it a serene family beach between Wells and Moody beaches, with parking at Gold Ribbon Avenue lot. Drake’s Island Beach: Located on Drake’s Island, this beach is great for playing in the waves and splashing in tide pools. Are you in town for a fresh baked good, a flight of local beers, or a bright seafood eatery? Portland has it all. 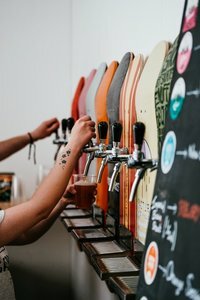 Hop on a Maine Brew bus tour or stop by one of Portland’s top local breweries. 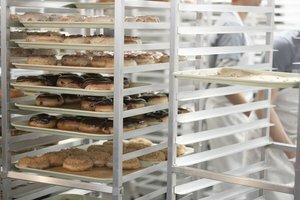 Standard Baking Co.: This family-owned bakery baked artisanal pastries with organic ingredients in a stone oven, and you can taste the difference. The Holy Donut: Made from Maine potatoes and natural ingredients, it’s no wonder these sell out fast! Get there early for the best selection of flavors (we love Maine Blueberry and Dark Chocolate Sea Salt). Eventide Oyster Co.: A fresh seafood and oyster bar with a hip vibe and a brown butter lobster roll not to miss. 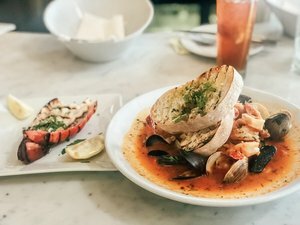 Fore Street: A 5-star restaurant serving locally sourced wood-fired seafood, meats, game, and vegetables in a rustic setting. 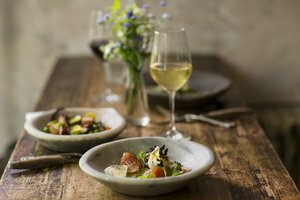 Drifter’s Wife: Enjoy specialty wine store by day, intimate culinary experience by night serving up a small and creative menu of locally-sourced foods that changes daily. Duckfat: Famous in Portland, especially for their indulgent fries fried in duck fat, their namesake. Portland Lobster Company: Playful outdoor restaurant and bar on the water serving lobster and lobster rolls. Central Provisions: Creative small plates, perfect for small groups hungry for culinary exploration. 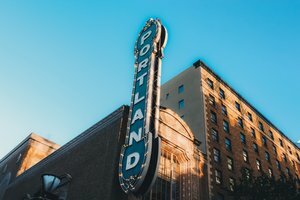 Portland showcases a vibrant arts & cultural scene with year-round live entertainment and various galleries cycling through exciting exhibits. Come for a First Friday Art Walk, a tour of the Portland Museum of Art, or a show at one of many venues, including the State Theatre, Port City Music Hall, and Aura. In the mood for sightseeing and great photos? Venture up Munjoy Hill to climb the Portland Observatory and continue to the Eastern Promenade for a lovely picnic with a view. Stop for sandwiches and picnic foods at Rosemont Market or take the ferry out to Peak’s Island. Once on Peak’s, explore by bike and grab an ice cream before grabbing the ferry back to Portland. Pick up a treasure from unique shops all around the Old Port on Commercial Street, Fore Street, Middle Street, and Exchange Street or journey off the beaten path to Freeport, 20 minutes North. The L.L. Bean flagship store and Freeport Outlets are not to be missed.